Today was the first day of the 2-week Ghibli retrospective that’s begun at the Egyptian and Aero theaters. 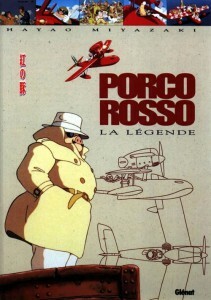 Porco Rosso was the first film being screened. Fresh transfer, and this is the twentieth anniversary of its release. I am happy to say that it blew my mind just as thoroughly as it did the first time I saw it, many years ago. Some things are timeless indeed. 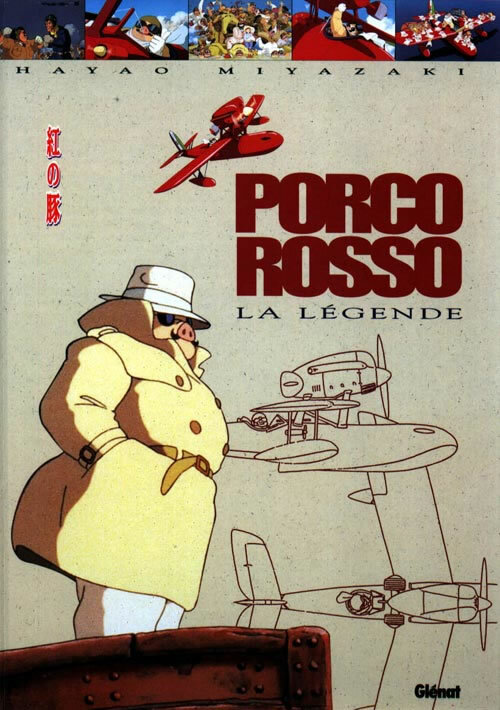 Is Porco Rosso the most adult-oriented of the Ghibli movies? Not just adult in the sense that the primary characters are middle-aged, but also because the protagonists Marco and Gina are obviously world-wary, both a little jaded, with a trace of wistfulness in their demeanor. 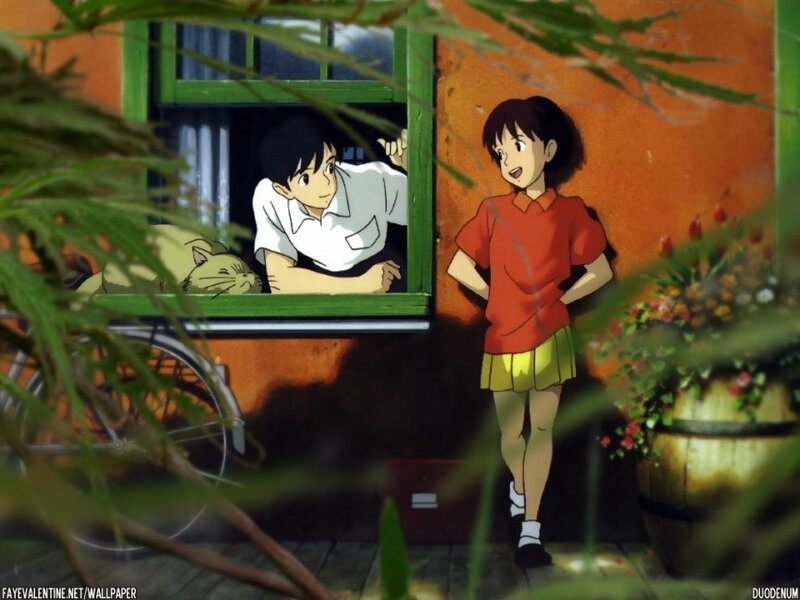 Fio, the young aircraft designer who accompanies Marco in the second half of the film is the obvious Miyazaki teenage heroine, the archetype that features in all his films. But the story is about Marco and Gina and their past and all the stories that they carry. 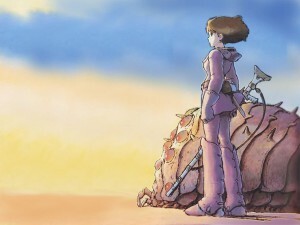 And for once, we do not see Miyazaki’s world filtered through adolescent eyes. There is a clear political tone to the film too, with Miyazaki’s distaste for fascism coming through loud and clear. 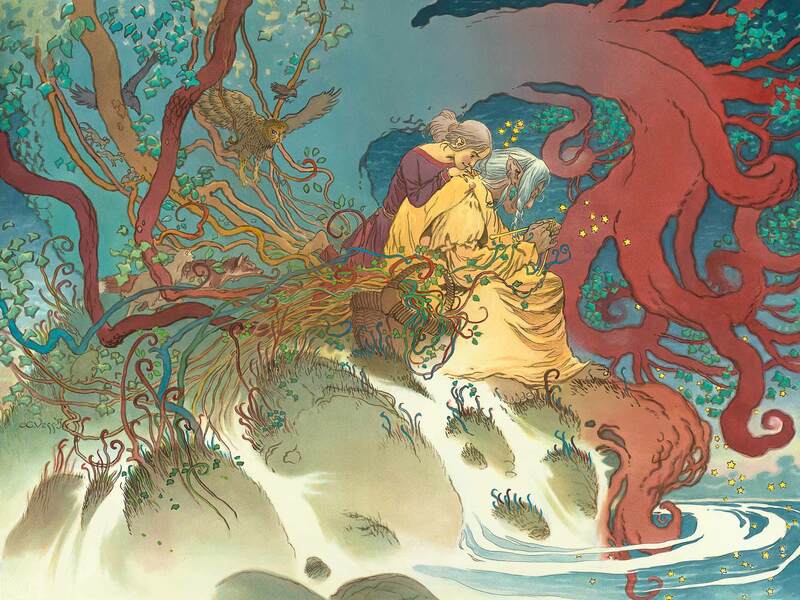 And then there is death and the hint of the afterlife for people of the sky, beautifully portrayed in a sequence inspired by a Roald Dahl short story. Call me crazy, but I think it would be an interesting experience to watch the film in Italian. The only dubbed anime I have watched and enjoyed so far is the TV series Hellsing. It is set in England, and it only seemed right to watch English characters speak in their language. Newspapers, fliers and movie posters in the world of Porco Rosso are in Italian, as is the song Gina sings in the hotel. 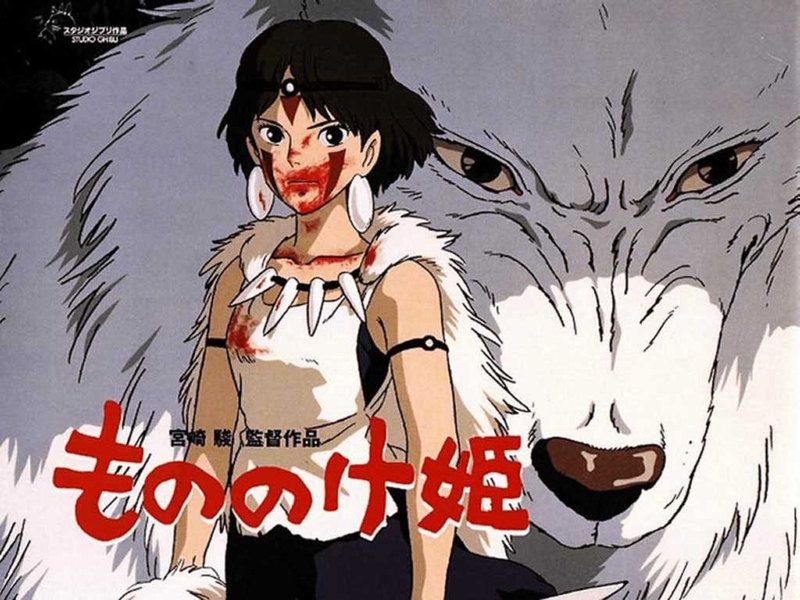 I remember reading somewhere that Miyazaki apparently liked the French version better than the Japanese. But then, the former had Jean Reno voicing Porco – you cannot get better voice-acting than that. What got me this time around was how expertly – and effortlessly – this film takes you through a range of emotions, from the opening hilarity of the Mamma Auito pirates kidnapping all the school children and the chase sequence that follows, to the sobering nature of Marco and Gina’s unspoken relationship. From the heady aerial battles to the quiet scenes involving sky, water, sand and clouds. and the most bravura segue of them all – the way the cartoonish showdown between Curtiss and Marco ends the main storyline, only to dissolve into Fio’s voice-over gently nudging the curtain down. Leaving behind bittersweet emptiness, with just an edge of … I dunno, hope? Promises? The idea that the real world does not really have an ending? Yes, this is the Ghibli film with the most perfect closing sequence. I am willing to defend this opinion to the death. Saturday has My Neighbor Totoro and Whisper of the Heart playing back to back at the Aero, in Santa Monica. 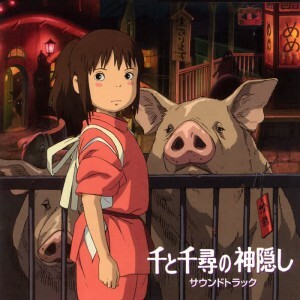 There’s Spirited Away tomorrow too, but I will catch the re-screening next week instead. Original Japanese with subtitles wins over an English dub.